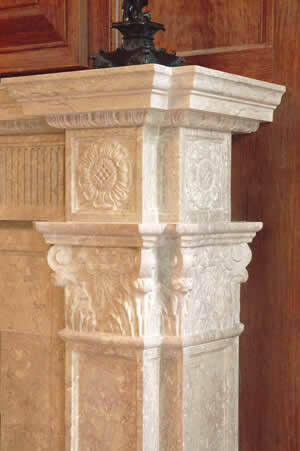 The Chiampo marble fireplace mantel has a very sophisticated double mitered capital. 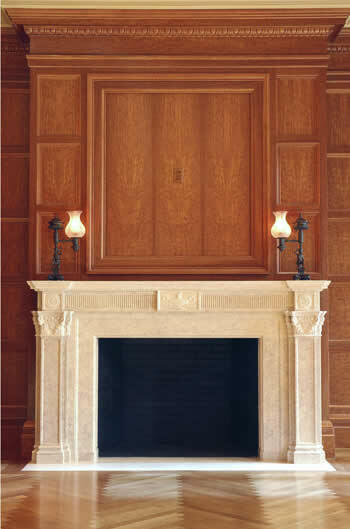 This fireplace mantel is very elegant and includes many architectural details. The egg and dart runs underneath the mantel shelf, around the whole mantel and two rosettes are carved on each side as well. DMS Studios Ltd. specializes in these custom details. Please contact us for support on your fireplace mantel designs.